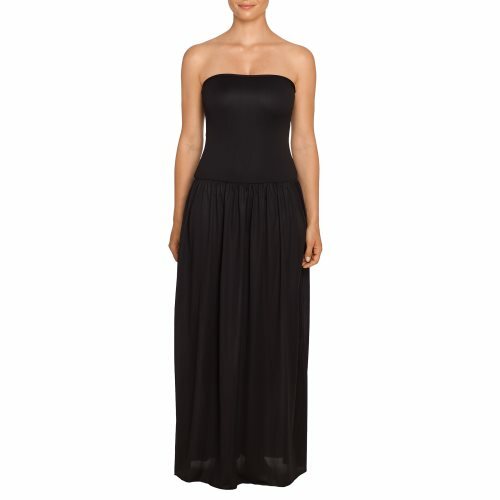 PrimaDonna Swim LATIKA dress black. Buy lingerie online. Reversible caftan with trendy crochet look and summery frills on the legs. The fabric is wonderfully light and transparent. A different colour on each side. The fine fabric falls loosely and elegantly around your body.